The Marine Breeding Initiative was created as a tool to encourage marine aquaria hobbyists to get involved in the captive breeding of marine organisms. The MBI was designed with the help of leading experts in the breeding of marine ornamentals to be a standardized award system and database that can be easily adopted by aquarium societies and site owners to promote captive breeding amongst their members. There are many pressures on todays tropical reef environments and the practice of captive breeding to reduce the need for wild caught specimens is one way we as hobbyists can reduce those pressures. The MBI creates a standardized model that uses a central database to share information between all MBI sites while rewarding and encouraging hobbyists to begin breeding and existing breeders to tackle more difficult species and try new techniques. Visit the Dashboard to get started today! Join us for the ninth annual MBI Workshop on July 21, 2018, at the Cranbrook Institute of Science in Bloomfield Hills, MI! The MBI Workshop is tailored to provide the most cutting-edge captive breeding information to hobbyist breeders and professional aquarists in a setting that promotes interaction and free exchange of ideas. We will be following the same format we've used in the past with an informal reception on Friday evening, Workshop all day on Saturday, and a BBQ on Sunday so plan accordingly. Tickets, hotel information, and speakers will be announced in the coming months. Join us for the eighth annual MBI Workshop on July 22, 2017, at the Cranbrook Institute of Science in Bloomfield Hills, MI! The MBI Workshop is tailored to provide the most cutting edge captive breeding information to hobbyist breeders and professional aquarists in a setting that promotes interaction and free exchange of ideas. Are you an individual breeder that would like to share your breeding experiences with the world and be recognized for your accomplishments? Join the MBI program today! Register and get started earning points in just a few minutes. Are you a club or website owner that would like to allow your members to search and even submit MBI reports right from your own website? The MBI system is designed as a portable solution that can be installed on nearly any website while still allowing users to search and share data with all other MBI enabled websites. Users remain local to your organization's website during the entire process so no need to send members off to another website to search or review information. We are currently working on developing integration packages to work with several different sites types and forum software packages. If you are interested in testing or helping to develop packages for other platforms not already listed please feel free to Contact Us! The MBI is managed by a diverse and professional group of breeders with a wide variety of backgrounds and experiences. This team forms the MBI Council. The Council is responsible for approving all reports, managing the MBI website, and setting the guidelines for how the MBI operates. 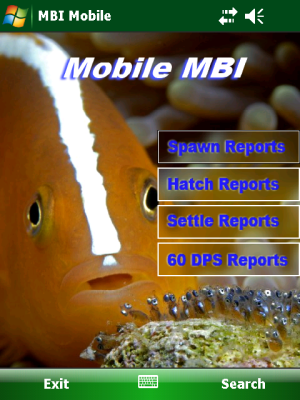 If you are already an MBI user and you are ready to sumbit a new breeding report simply select the report type from the drop down list below to get started. Remember You can only submit and recieve points once per report type for each species.